Rush Creek 16 Rod Double Sided Rack | BUDK.com - Knives & Swords At The Lowest Prices! We know you have valuable fishing gear and rods can be easily damaged if not securely stored. 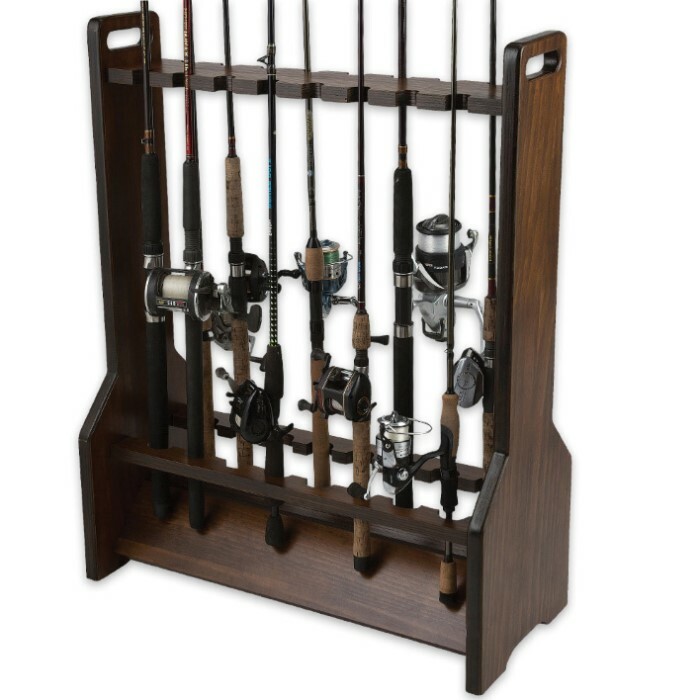 The 16 Rod Double Sided Rack from Rush Creek is made from multiple layers of wood to create the most durable rod rack on the market. 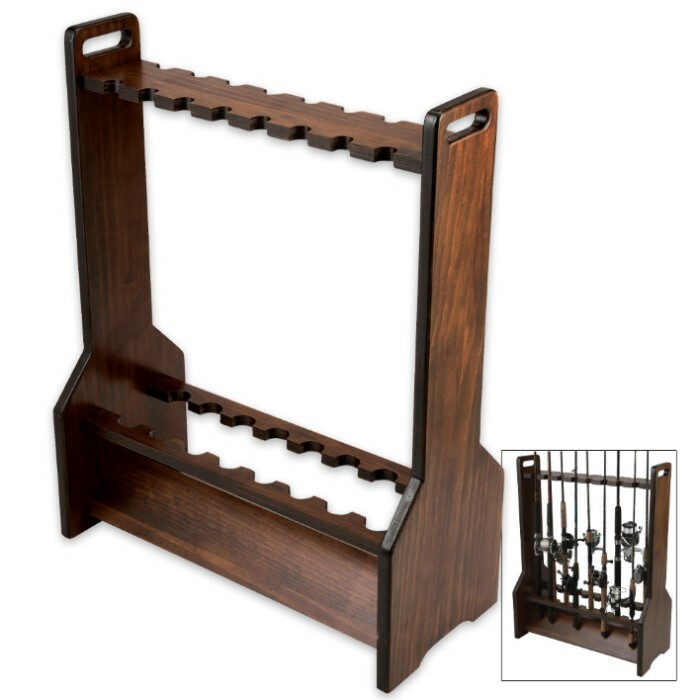 The attractive wooden rack is dark stained and then sealed with marine grade varnish so that it is water-resistant. The Dual Rod Clip Technology keeps each of your rods in place in the optimum position for damage-free storage. 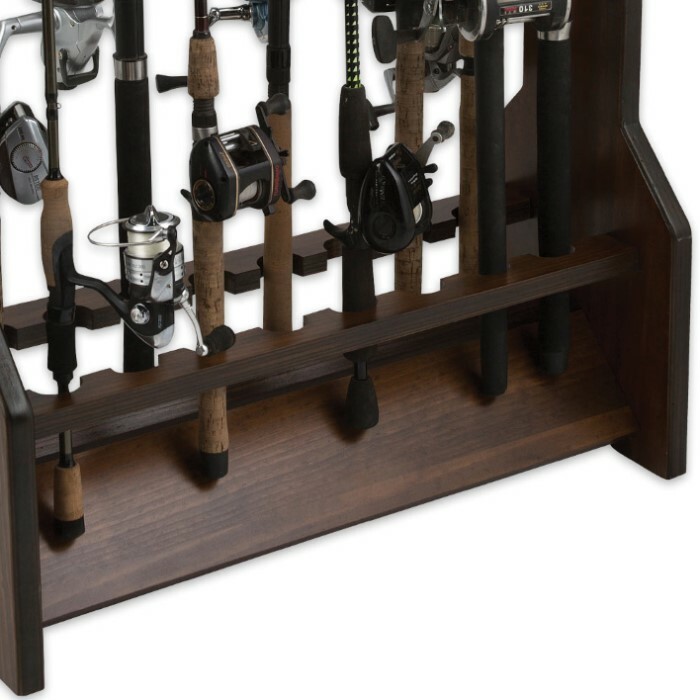 The angled handle rests makes it easy to access your rods and the hidden fastening system hides all screws for an attractive, clean look to the rack. It will complement your decor wherever it’s placed.